Apple’s classic Mac automation application Automator has been around for more than a decade, but is it still useful to Mac users, and how does it compare to similar Mac automation programs like Keyboard Maestro? If you do a quick search of this site, you will discover that I have yet to write an article or produce a video about using Automator, mainly because the program lacks the rich automation actions and features found in Keyboard Maestro. Automator is now somewhat outdate, but there are several online tutorials about how to use it, and I may even write a few new ones for this site. 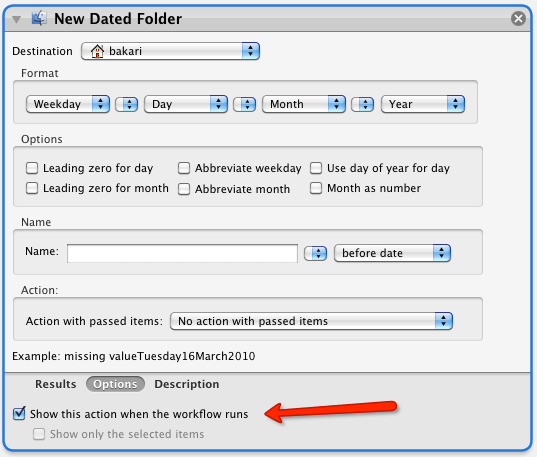 If you haven’t dabbled in Mac automation yet, then it’s worth your time to open Automator and build a few workflows. There are several tutorials online that I reference in the section about Automator below. 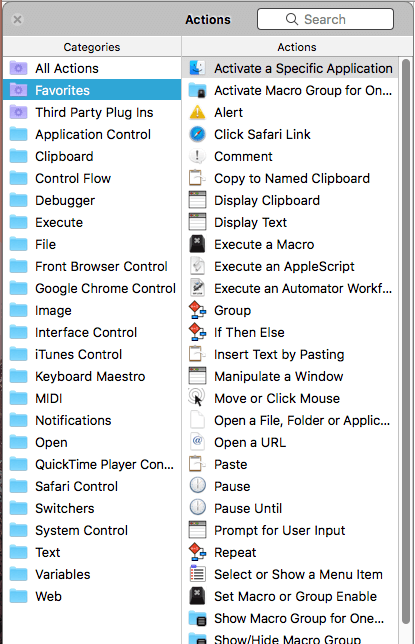 But in this article, I want to also explain why you should consider using Keyboard Maestro instead of Automator. Though Keyboard Maestro is not a free program, it worth every penny of the modest $36 price tag. Use this special MacAutomationTips link to get a 20% discount—$28! If you have little familiarity with both of these programs, then definitely read on. There’s much to learn, but you will learn even more as you delve into the programs and see what each of them has to offer. The developer of Keyboard Maestro has set up a special 20% discount for MacAutomationTips readers and subscribers. Click the button below to purchase and download your copy of Keyboard Maestro. Though Automator is still included in every macOS, Apple hasn’t done much in the last several years to upgrade or even promote Automator to Mac users. Even the lead developer for Automator, Sol Soghoian, Product Manager of Automation Technologies starting back in 1997, is no longer with the company, when his job was eliminated back in 2016, which is probably the last time Automator was updated. 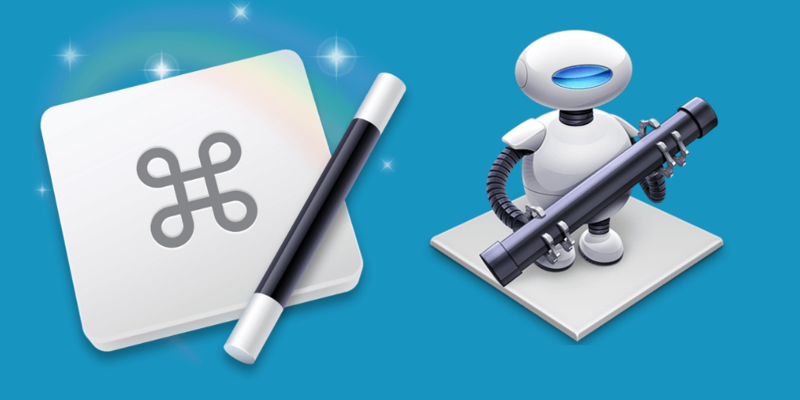 But similar to Apple’s Shortcuts (formally, Workflow) for iOS, Automator is a good introduction to Mac automation, especially for us Mac users lacking coding skills. 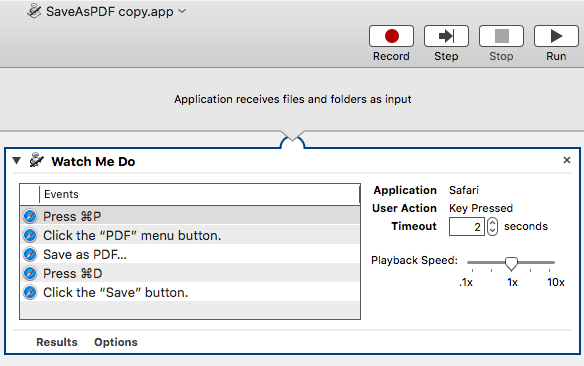 Automator’s simple drag-and-drop user interface makes it easier to assemble one or more actions to automate a computer task. Though this article doesn’t go into detail about how to use Automator, a quick overview of its features provides an idea what it can do. In order to automate tasks using Automator or Keyboard Maestro, workflows or macros need to be triggered by one of several triggers, (e.g., a hotkey, a folder action, a Services trigger, or an application.) 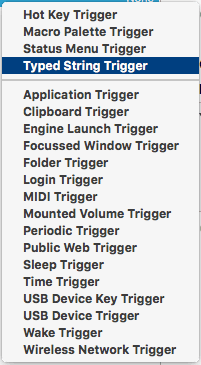 Both program share triggers, though Keyboard Maestro has over twice as many triggers as Automator. 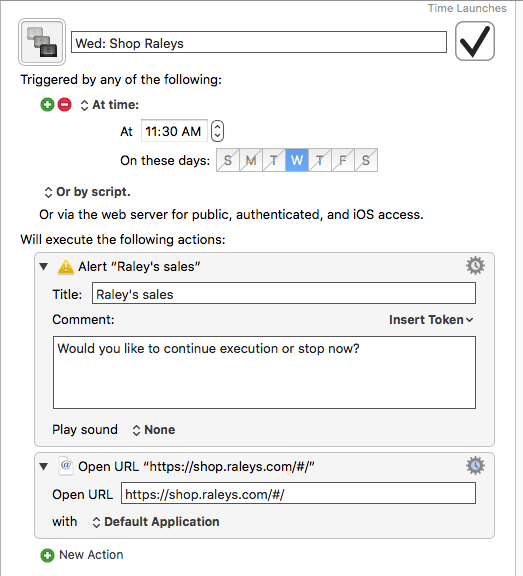 Below are descriptions of the main ways to create workflows in Automator and to trigger the actions in those workflows. Workflow: a basic collection of one or more actions, such as labeling all the files a folder a specified color. 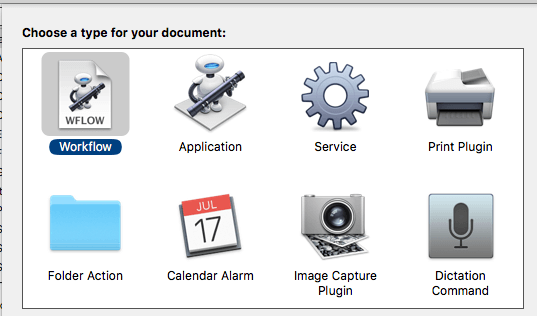 A basic workflow can be ran inside of Automator, ran as an application, triggered by a folder action, a calendar event, a voice command, a services action, a print plug-in, or triggered by a third-party application like Keyboard Maestro. Application: a workflow saved as an application, and it runs when the saved application is launched. Service: a workflow that is saved and triggered as part of a contextual Services menu, such as resizing a selected file. Print Plug-in: a workflow that can be triggered in the print dialog drop-down. Calendar Alarm: a workflow trigged when a preset calendar alarm attached to a calendar date runs. 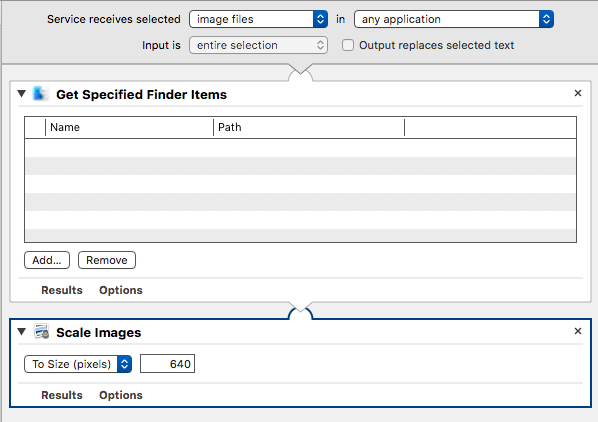 Image Capture: a workflow that can be ran in the Image Capture application. Dictation Command: a workflow that can be ran using a specified voice command, such as opening a specified file. Open Automator and you’ll see that it contains a library of over hundred computer actions that mirror the features built into the macOS. 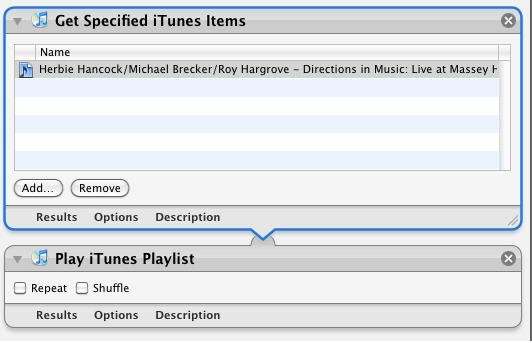 For example, there's an action for filtering finder items, playing a specified iTunes playlist, or opening selected image in Preview. Many of the actions are ones that you perform manually, but as I explained in the previous section, Automator enables you to trigger actions using a folder action, a voice command, or a service menu item. 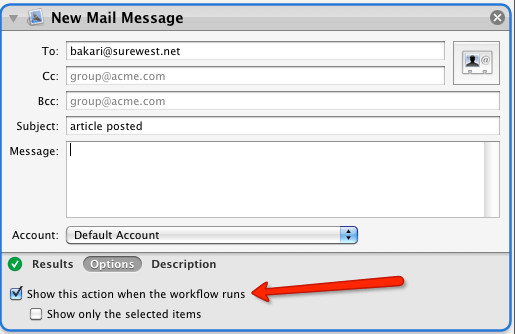 Automation workflows can save you some typing, clicking, and cursor movements. However, some actions like the iPad Note action are clearly outdated, and I discovered some actions no longer work. One of the workflows that I have used for several years is a Service Menu workflow that resizes a selected image file to 640px width, which is the size of files I use for blog posts. So when I select and Control or right-click on a file on my desktop, I can trigger the Automator workflow and it will resize the file without me having to open Preview or some other application to perform the same action. Workflow that creates a dated folder in a designated folder or on a desktop. This workflow grabs the content the clipboard and turns it into a text file. Automator can also run AppleScript scripts, and it includes more advance features such variables which can help you create more robust workflows. Variables allow you store information, such as piece of text, a URL, the current date, or file or folder references that can be stored and passed on to one or more actions. Also, in the toolbar of the Automator workflow editor, there’s also a Record button that can record one or more actions that you manually perform on your Mac. For example, you might record two or more shortcuts and application and then save and run the workflow as an application. The main feature of both Keyboard Maestro and Automator are triggers, which are used to trigger a workflow of actions. 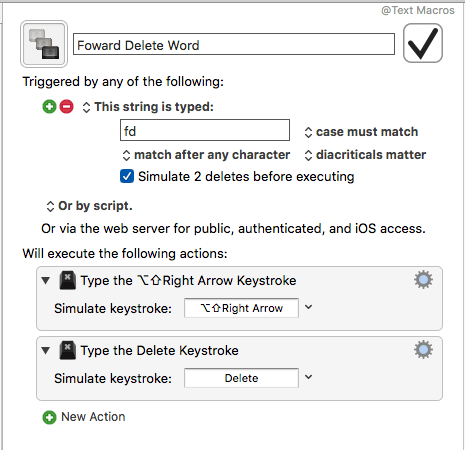 Keyboard Maestro shares similar triggers as Automator, but it has a over a dozen more ways to trigger workflows (or what is called, macros). Both applications include a folder trigger and both can trigger AppleScript scripts. Automator does include a voice command trigger which is not a part of the Keyboard Maestro. However, KM macros can be mapped to the voice command feature macOS. 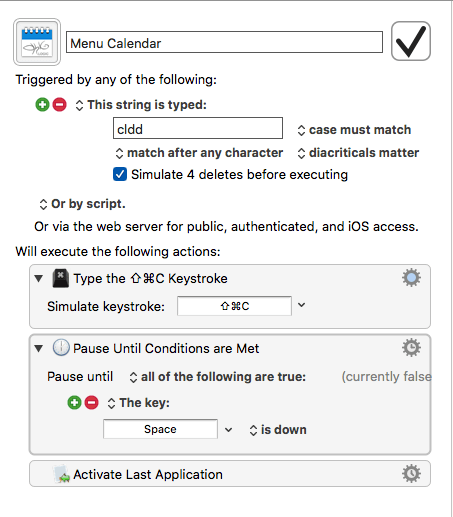 Keyboard Maestro (KM) macros can’t be triggered in Apple’s Calendar or a print dialogue, but KM does have date and time triggers that are independent of Apple Calendar. Application Trigger: triggers a macro when application is launched, closed, activates or deactivates. Hot Key Trigger: triggers a macro using an assigned hotkey. String Trigger: triggers a macro when specified characters are typed. Macro Palette: any macro can be added to the KM Global or application specific palette and triggered when clicked. Login Trigger: triggers assigned macros when you log into your computer. Focused Window Trigger: triggers a macro when a specified window is brought to the forefront. Clipboard Trigger: Triggers a macro when the clipboard changes or contains specified text. 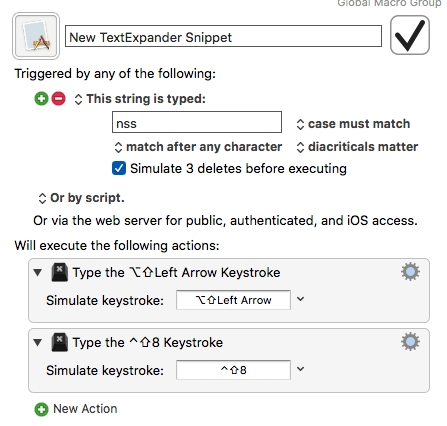 AppleScript Trigger: Each macro in KM is automatically assigned an AppleScript script that can be used and triggered in a supporting application. So for example, you could save a script as an application and launch it from your Dock. A string trigger triggers two actions: a shortcut that selects the word behind the cursor, and then it triggers a TextExpander hotkey that opens the TextExpander mini editor and adds the selected word to expansion editor. Keyboard Maestro is available for free trial download. Use this special MacAutomationTips link to get a 20% discount—$28! Compared to Automator, Keyboard Maestro has over 200 actions that mirror nearly everything you manually do on your Mac. Insert Text: this action inserts preset text by pasting it or typing it. Type a Keystroke: triggers any hotkey in any application. Select Menu Item: clicks any specified menu item in an application. Display Text: displays preset text or image. Move or Click Mouse: moves the cursor to a designated part of the screen. Clicks a preset found image like a button. Prompt for User Input: accepts input from the user and applies the input to the next action or actions. 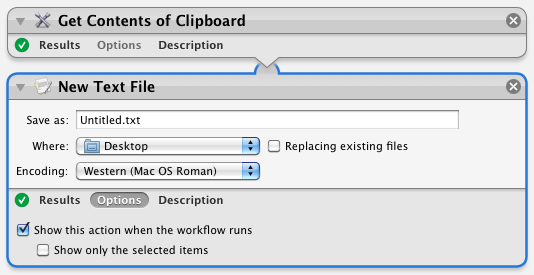 Copy to Named Clipboard: Copies selected text to a special named clipboard that can be pasted when needed. My most used KM actions. 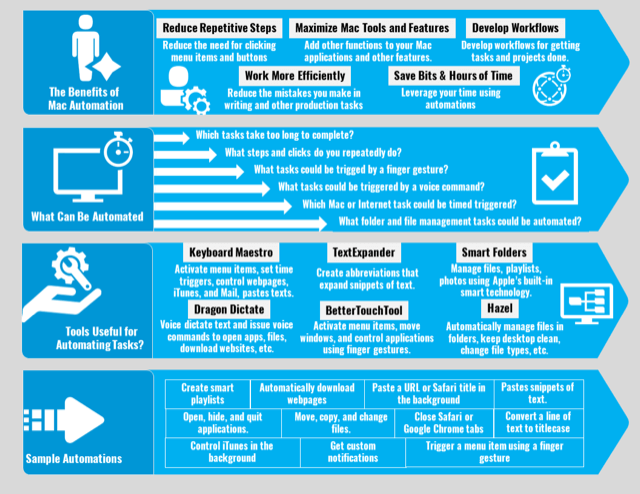 Keyboard Maestro macros/work flows consist of over a dozen actions in a single macro, but for most users simple workflows that perform a single task are usually what most users will create. Below are handy, mostly string trigger macros that I use in my daily work. I will be creating a Keyboard Maestro course that will provides lots of how-tos for using Keyboard Maestro. Time and day trigger to open a specified web page. Triggers the mini calendar window in my menu bar. Bolds the line of text behind the cursor. Deles the the word immediately after the cursor. String trigger that triggers the Select All shortcut. Over the years, Keyboard Maestro has saved me lots of time and it reduces redundant clicking, typing, and cursor movements. While it initially took a while for me to build hundreds of macros, I have gained back that time and hours more because of the numerous macros I trigger daily. Though it’s difficult to measure precisely how much time Keyboard Maestro has saved me, the program does provide an estimate. In my case it’s claimed to have saved me 6 months of work at my computer. See screenshot on the right. Keyboard Maestro is more precise in reporting how many times a macro has been triggered. 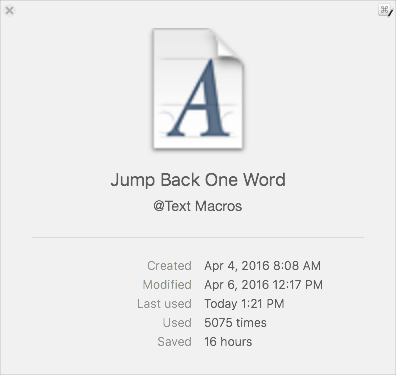 For example, to date, my “Jump Back One Word” macro that I created back in April 2016 has been triggered 5075 times. Basically when I’m typing, I often need to move the cursor back one word. Instead of clicking the left arrow key several times or moving my hand back to my trackpad to reposition the cursor, I simply type a string trigger that triggers a keyboard shortcut that moves the cursor back one word. I have another similar trigger to move it forward one word. 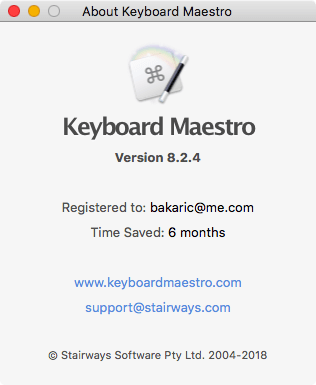 If you’ve only scanned or read half this article, you’d probably conclude that Keyboard Maestro is a better solution for Mac automation than Automator. Apple for all practical purposes seems to have abandoned Automator, though it’s left in tact in all the new macOS upgrades. 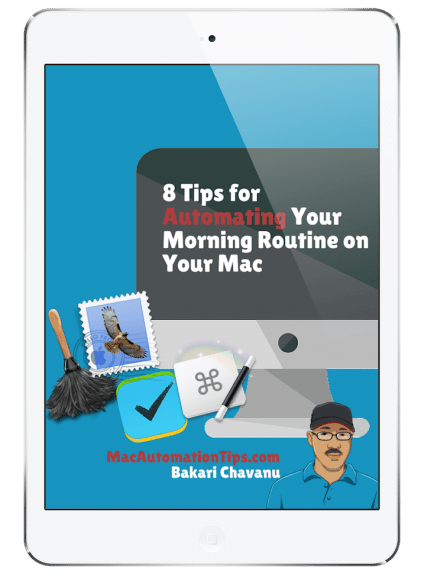 In my past use of Automator, I have found that some actions no longer work, and after spending several years using Keyboard Maestro I find that Automator simply doesn’t provide the type of workflow support that I need for the daily Mac tasks. Sure, there some are automations Keyboard Maestro doesn’t perform as well Automator, but in my experience there’s not that many. Peter Lewis, the developer of Keyboard Maestro, consistently upgrades KM, and he maintains a very supportive user forum that provides beginning and advanced support for the program. For many Mac users, automation programs like Keyboard Maestro seem way too techie and time consuming, but for Mac users who spend work at their computer on regular basis, Keyboard Maestro is a powerful and essential tool for staying productive. Within the Accessibility Dictation commands, you can assign a hot key. The assigned hot key can be assigned to Keyboard Maestro. So technically, you can do voice commands via Keyboard Maestro. It’s just not a built in selection but works the same way. Yep totally agree. I’m still using Dragon Dictate, but in some future OS upgrade, it’s not going to work and I’m going to need to turn to the default dictation.